He sold stakes in a gold mine with no gold. Now he preaches the gospel. John Mira, preaching in Guatemala. 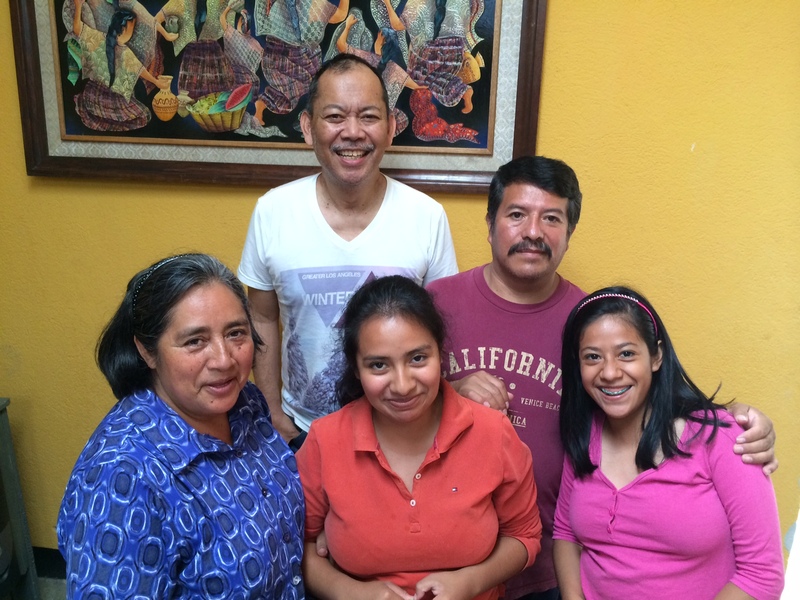 He’s pictured with Pastor Ludving and his family. Ever since he started working for the owner of a gold mine in Las Vegas, John Mira lived a lavish lifestyle with limousines, mansions, women, and illicit drugs. His part was to sell foreign investors a stake in the mine. John would drive Japanese clients there, walk them past the armed guards at the gate, show them the chemists studying soil samples, let them inspect the smelters. He even slipped $30,000 to the reps of investment companies to curry their favor. In his sales role he brought in millions of dollars for his boss. Incredibly, Mira never realized he was at the center of a scam. After investors viewed the mine supposedly valued at $2 billion, his boss sent all the “actors” home. Wanting to show off one day to his girlfriend, he drove her out to the mine – and nobody was there. Suddenly, he realized he was an unwitting participant in fraud! He was deluded into thinking he was a huge success. While he wallowed in riches, he was also addicted to drugs. He made fun of a Christian friend who sold him jackets from a beaten-up Volvo. One day, John found himself pinned to his bed. He felt a claw in the back of his head. He was hallucinating and believed he was dying. Drug-induced paranoia kept him from calling his parents for help. Desperate for help, he called the coat salesman who always invited him to church. “Lock yourself in your room and cry out to God,” his friend told him. John followed the man’s instructions. Then God impressed this on his heart: In your left hand is your death and your family’s death. In your right hand is your life and your family’s life. Choose. Read the rest of the article.